I have a gift idea which I would like to share with you. 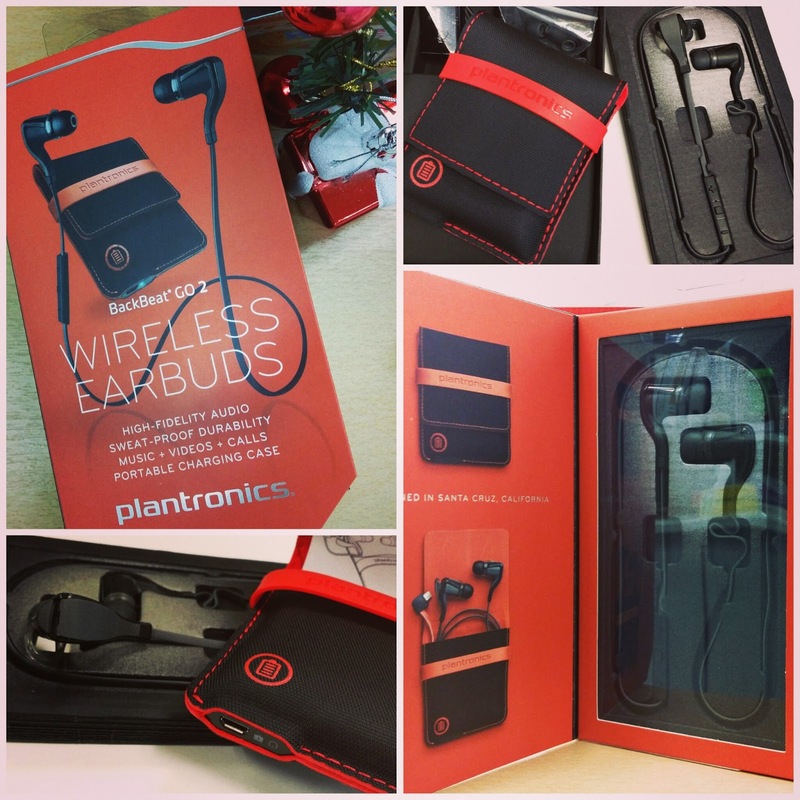 What could possibly be the best present to give to your loved one who owns a mobile device and enjoys music on the go? 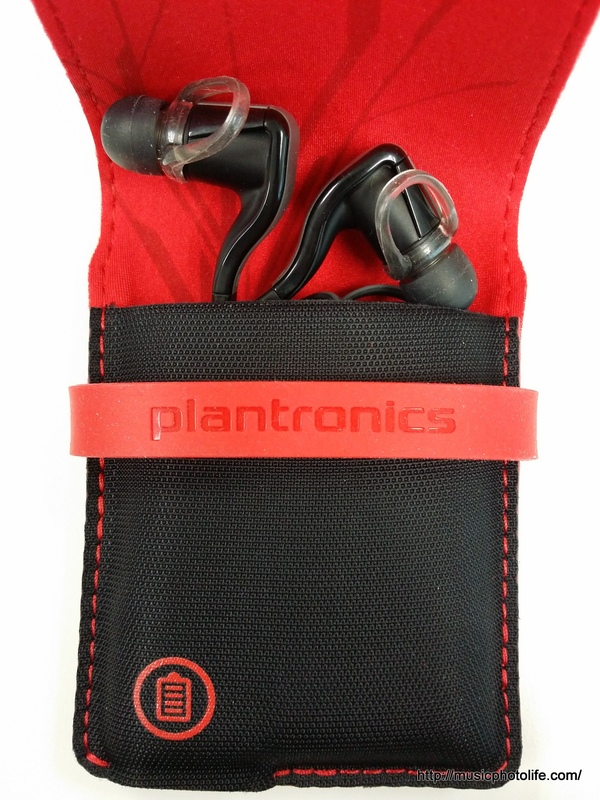 My answer to that would be the new Plantronics BackBeat GO 2 with Charging Case. There is no wire connected to your smartphone or tablet, which saves you the hassle of untangling your earphone cord, plugging it in, having messy wires between you and the smartphone, or removing earbuds from your ears if you need to walk away from the phone for a short while. You can change tracks, adjust volume, answer phone calls. It’s freedom. There are many wireless earphones in the market, but none as simple as the BackBeat GO 2. Just look at it: only a short cable to link between 2 compact normal-looking earbuds. The transceiver is built in the earbuds. No separate or huge transceivers like other Bluetooth earphones (compare to the Jabra Sport Wireless+ which I recently reviewed). No more hassle of untangling your earphones after removing from the case. The BackBeat GO 2 can be connected to any device that supports Bluetooth audio profile. There are buttons to control audio volume, tracks, and answer/call button for handsfree talk. Worry about battery life? The included charging case allows you to store the earphones and charge at the same time. And even better, there is an iOS and Android app that lets you monitor the remaining battery life, so you can better manage your BackBeat GO 2. The BackBeat GO 2 produces pretty faithful audio quality, as long as you get the correct earbud fit. The treble is bright, the mid range is adequate and not muddy, and the bass is firm but not overpowering. If you favour heavy bass, a tweak on the software equalizer should do the job. The sound staging is relatively tight, so for loud music, it might sound noisy. The new version is certified sweatproof, so you can wear it for your activities. The soft stabiliser helps to keep the earphones in your ears to a small extent. And it feels pretty comfortable on my ears, although my wife, who has more sensitive ear tissues, feels the earbuds are too heavy for her liking. The BackBeat GO 2 with Charging Case comes with 2-year local warranty. The non-charging case version remains at 1-year warranty. Buying a parallel import unit from online shops could save you about 40% discount, but there is no manufacturer warranty. Personally, I do not buy overseas electronic items because of no-warranty, unless it’s cheap and disposable. I’m not saying it’s wrong to buy non-warranty products, but just be aware that the additional cost you pay for local set is like an insurance for product failure. 1. Short battery life. Normal Bluetooth earphones should last at least a single full day (i.e. 8 hours). For BackBeat GO 2, it can only last 4.5 hours. Saving grace is the charging case which you can plug into after every use, so that you can be ready for the next use. And a 20-minute charge gives you an hour of usage. There is also a battery meter widget app for your iOS and Android devices, so you can monitor the battery remaining time. (The charging case cannot be used to charge your smartphones, though. I tried, and doesn’t work). But if you demand an continuous usage, then either you get a bulkier Bluetooth earphones or you have to opt for a wired earphones. 2. Not for Extreme Sports. The BackBeat GO 2 stablizer is just a small soft rubber, which might not hold well for aggressive sports. Perhaps a more “pro” earphones like the Jabra Sport Wireless+ might suit you better. 3. Price. It might seem a little pricy compared to other Bluetooth headsets with similar specs, but hey, it’s a small price to pay for quality and design. A similarly designed product from Jaybird is priced beyond S$200. Pingback: Jabra Rox Wireless *Updated* Review - Music.Photo.Life. Hi Chester, thanks for your reply. 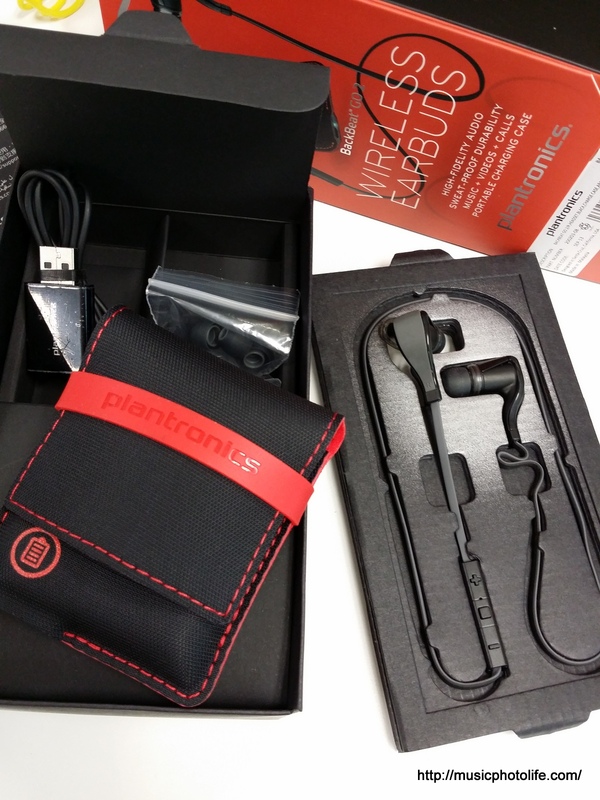 Another question, between Jabra Rox and Plantronics Backbeat Go2, which better? Hi Cindy, thanks for asking. In terms on audio quality, I prefer Jabra Rox, but the ear fins fall out easily, and if you have small ears, the Rox might be too heavy. BackBeat Go 2 would be more comfortable to wear and less hassle to maintain. The charging case is also useful. Hi Victoria! Thanks for the purchase at Goodstuff.sg using my discount code. I too earned 80 points thanks to you!